Mineola, New York, USA. January 1, 2018. 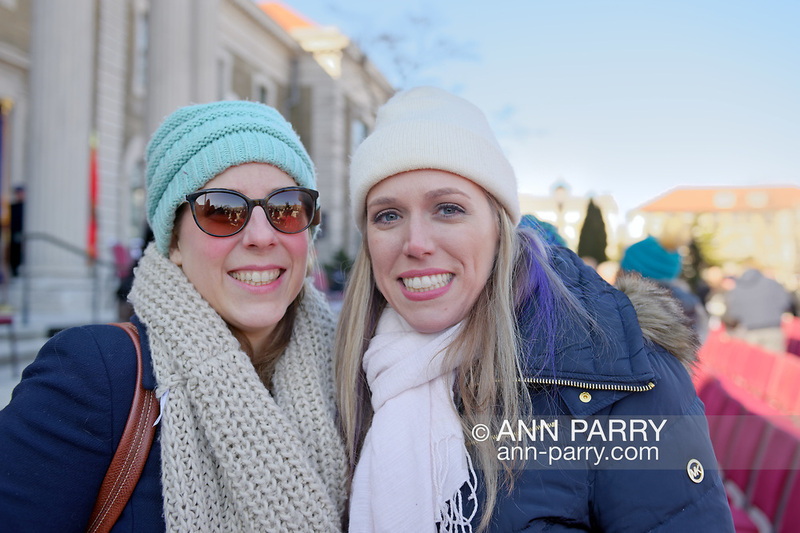 L-R, LIUBA GRECHEN SHIRLEY, Congressional candidate for District 2 on Long Island, and SUE MOLLER, 2017 candidate for Hempstead Town Council District 6, post for photo outside Theodore Roosevelt Executive & Legislative Building, after Historic swearing-In there of LAURA CURRAN as Nassau County Executive.